Dominique Ficara started playing softball when she was 8 years old and that’s when she fell in love with the game. She graduated from Kingsway Regional High School (South Jersey) in 2011, winning a state championship, two south jersey championships, 3 district championships, three team MVP for the year and South Jerseys Most Value Player award. After graduating high school Ficara went on to play Division 1 softball at Hofstra University. During her freshman her the team had its first ever undefeated conference season, won regionals at UCLA and went on the their first ever Super Regional tournament. Then Ficara transferred to Kutztown University where she led them to winning their first ever PSAC conference championship, as well as winning regionals, super regionals, and all the way to the NCCA National Championship game. Ficara currently holds 8 spots on the programs record lists including games in a seasons, wins in a season, games in a career, complete games in a career, shutouts in career, innings pitches in a career, and strikeouts in a career. 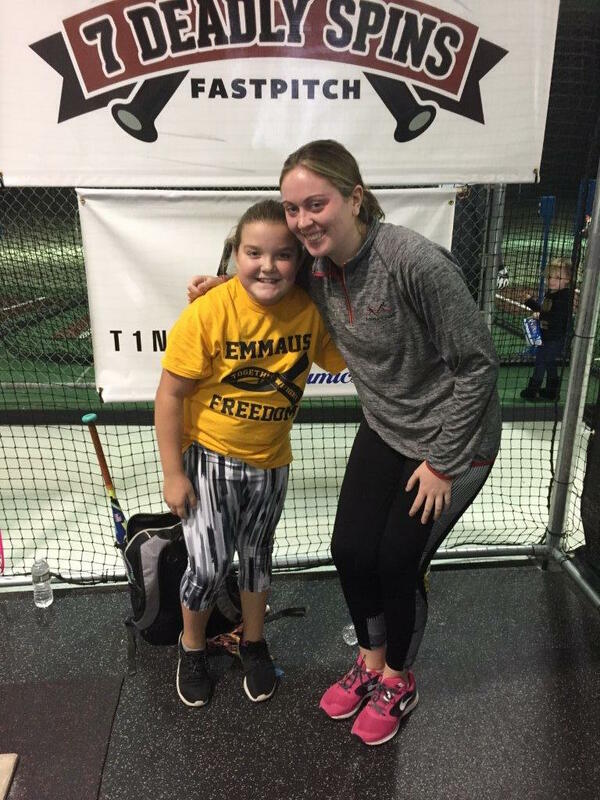 Here is what Dominique says about our organization: I heard about Tincher Pitching by another instructor who was so busy that she was looking for help. She knew my college coach and about my college career so she contacted me to see if I would be interested in learning more about Tincher Pitching. I remember seeing it for the first time and thinking “wow this is pretty interesting.” Then I went to train with Denny the week after I graduated college and remember thinking that I thought I knew everything about pitching but was blown away by all the new information I learned in just the first two days! I really enjoyed being around so many people who shared the same passion in life, pitching. Tincher Pitching really opened my eyes to a lot of new methods that I am excited to share with the future pitchers to help make their dreams come true. Here is what Denny says about Dominique: It is exciting to add fresh, young eyes to the group. Having just graduated from college, Dominique is among those in the group who help us with that perspective. The first time she trained with us I was immediately struck by the way students interacted with her. She bonds with them immediately and reads them very well, so they develop a trust which allows them to reach out and take chances in order to learn new things. A combination of intellectual strength, curiosity, experience, and enthusiasm. That’s what we love about Dominique.